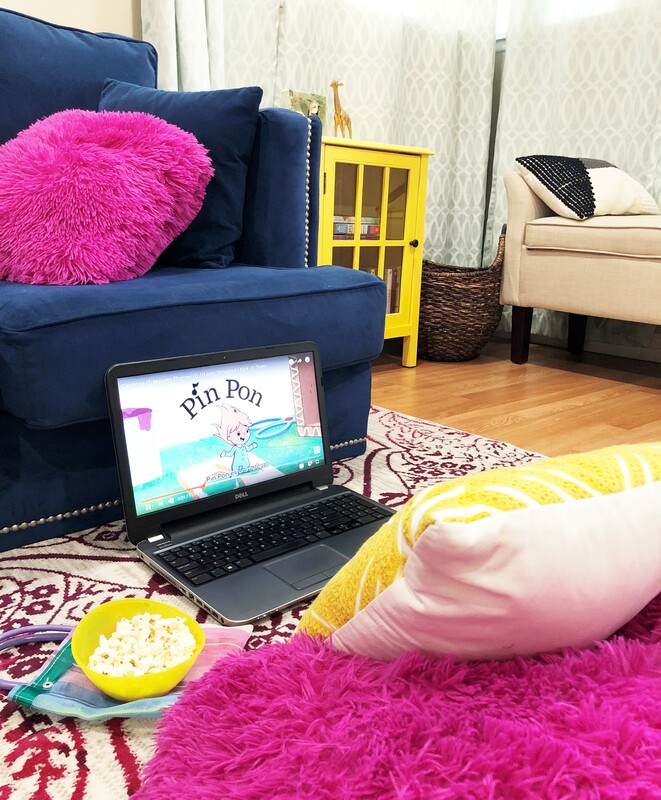 This post is in partnership with Nick Jr.
We’ve been celebrating Hispanic Heritage Month for a couple of weeks now and it’s really awesome to see my girls enjoying our traditions. Through those traditions, they are learning Spanish, especially Dahlia. She is my little talker and I’m excited because she’s picking up on Spanish a lot lately. Her favorite phrases are “mas sopita” “no gracias” and “por favor” she also loves to say “taco” “gato” and “lista” she’s really proud of herself and I’m proud of her too! It’s really important that my girls learn Spanish. It’s amazing to be able to have meaningful conversations with my tia’s and family friends and I want the girls to experience that as well. 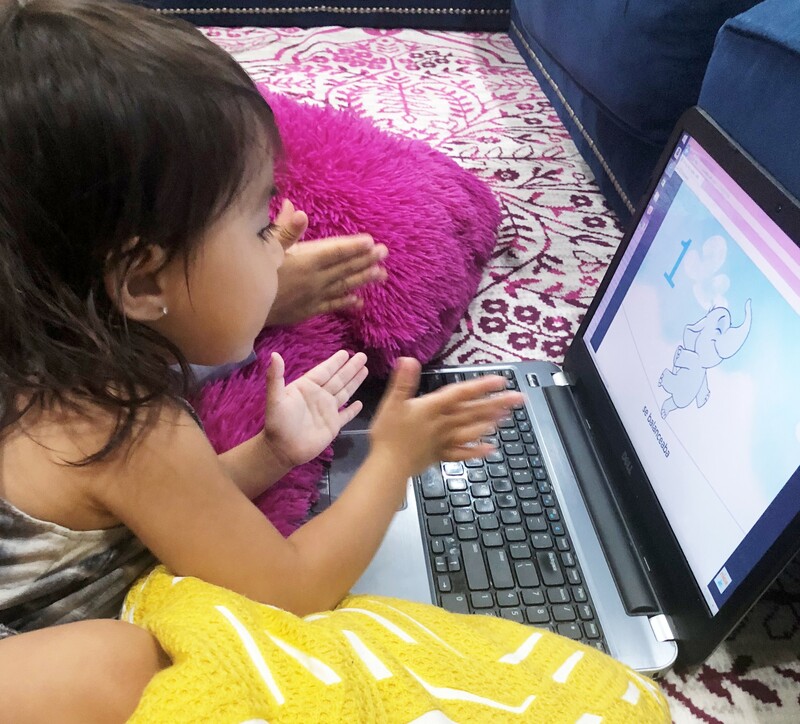 I don’t force it, so my approach is for them to learn words through songs, play, and story-time. 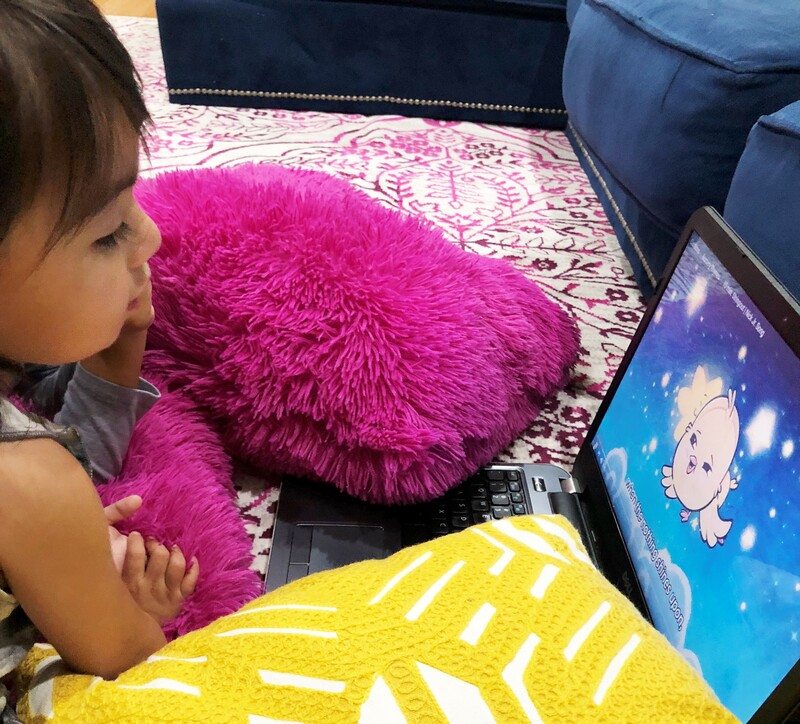 Recently, we were also introduced to Canticos on Nick Jr. Canticos pairs classic nursery rhymes from all over the Spanish-speaking world with adorable animal characters to create educational music videos. Kids can learn simple vocabulary words, numbers, the days of the week, and more, in English and Spanish. Getting ready for music time! It’s so cute to hear Dahlia sing along to songs that I grew up with! My favorite is Pin Pon, a song about a little boy made out of cardboard box. I’m confident that by exposing her to music and videos she’ll eventually learn our native language. I can’t wait to have conversations with my girls and my mom and aunts in Spanish while enjoying our traditions together! 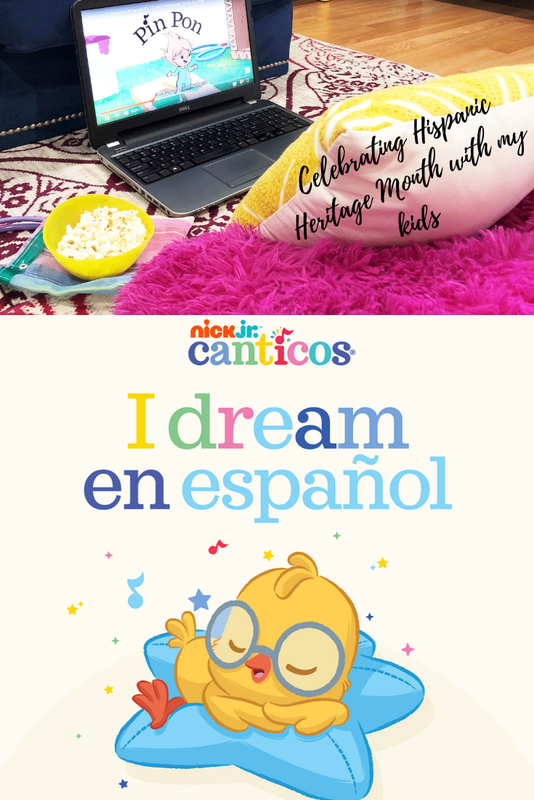 You too can celebrate Hispanic Heritage Month with Canticos’ bilingual nursery rhymes on the FREE Nick Jr. App or Nick Jr. on YouTube.